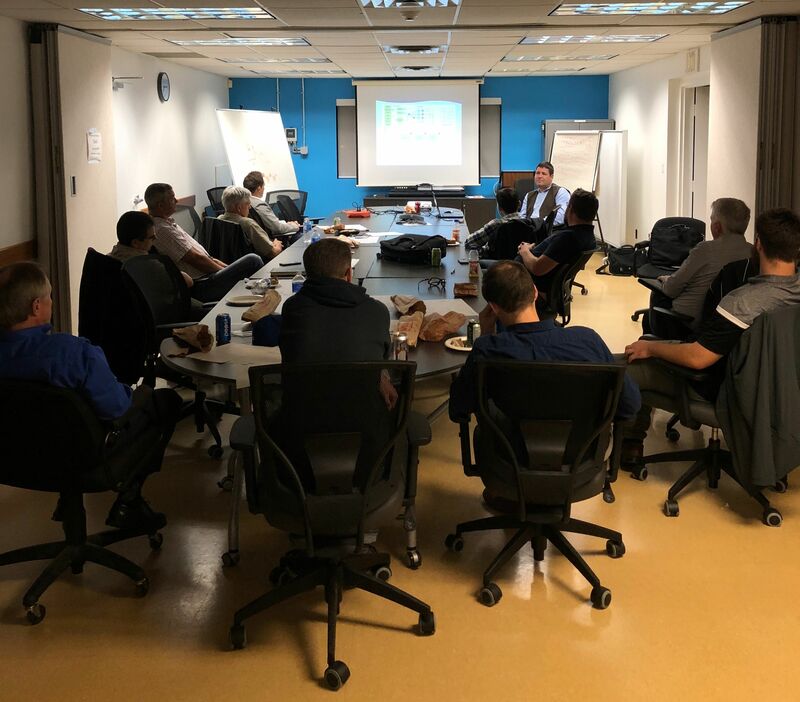 ISA Hamilton held its 2018-2019 season kick-off event was a tour of the main pumping station for Guelph Water Services. Held on the evening of Tues, Sept 25, 2018, attendees were treated to a light supper, a talk about how municipal water systems work, a presentation on the Guelph Water Services SCADA system, and a walking tour of the F.M. Woods Pumping Station. In total 15 people attended. Tour guide, Graham Nasby, the city’s Water SCADA & Security Specialist enjoyed taking the evening to showcase the role that automation plays in running a modern water utility. In addition to looking at process equipment, attendees also got a tour of the Supervisory Control and Data Acquisition (SCADA) system. Recent SCADA upgrade projects, and the roadmap/philosophy being use for upgrading the sytsem over time, were also highlighted. Special thanks to Graham Nasby and City Guelph Water Services for hosting the tour.